Offering a variety of services aimed to optimize physical, mental and emotional wellbeing. Naturopathic Doctors offer a variety of services aimed to optimize physical, mental and emotional wellbeing. 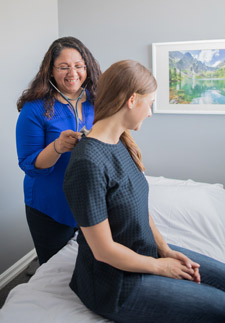 Working with each patient’s specific health concerns and goals, the focus is to develop individualized treatment plans that channel the body into working towards its place of equilibrium. An eclectic approach is used to offer patients treatments for pain management, weight management, acute or chronic disease, and general health and wellbeing optimization. Click here to learn more about Dr. Ravinder Gill, ND. For questions or to find out more about Naturopathy, please give us a call (416) 489-0077.